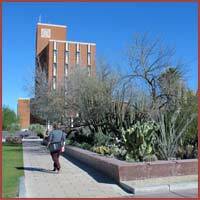 The Campus Arboretum of the University of Arizona has established the Florilegium of the Joseph Wood Krutch Garden. 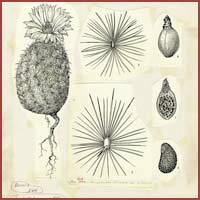 This florilegium will consist of traditional botanical illustrations of plants growing in the Krutch Garden. 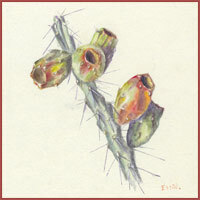 The Herbarium at the University of Arizona has received a donation of the original Lucretia Hamilton drawings from Lyman Benson's The Cacti of the United States and Canada . These illustrations, which are a significant addition to the Herbarium's collection of botanical illustrations, were donated by Edward Hamilton, Lucretia’s son, who obtained them from Stanford University and wanted to have them preserved under archival conditions. The donation includes 119 plates of Hamilton’s drawings and 17 plates by Lyman Benson. Florilegium volunteer James Thomas has completed the process of transferring the Hamilton and Benson illustrations to archival mounting boards, and Nancy Reid is working to accession the new illustrations into the Herbarium's collection, which now consists of 2,125 works of botanical art by several renowned illustrators. Read more about this ongoing project to preserve these illustrations. A video about our exhibit "Drawing Us Together" that was funded by an ASBA Julius I. Brown Grant was presented at the ASBA Annual Conference in October 2014 and is now showing in the Visitor Center. Two additional displays have now been installed to accompany the permanent botanical art exhibit: Plant Pollination: It's More Than Birds and Bees features works by Joyce Peters, and Blending Art and Science features works by Wendy Hodgson, Curator of the Herbarium and Senior Research Botanist with the Desert Botanical Garden. 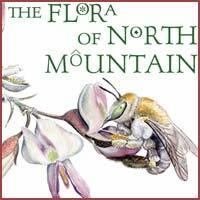 In February of 2015, Elaine Hultgren will be teaching a class "Nature Sketching and Journaling" at the North Mountain Visitor Center. The dates are February 21 and 22 from 9am to 4pm. Please join us. Registration information may be found on Elaine's website. In January of 2015, a children's coloring book, Drawn Together: Plants and Animals of the Phoenix Mountains Preserve, went on sale at the Visitor Center. 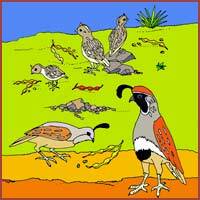 It features illustrations by several SWSBA members. Proceeds from sales go to fund future activites related to our exhibit. Over the past year, the Central Arizona Conservation Alliance and a team of citizen botanists led by Wendy Hodgson, Curator of the Desert Botanical Garden Herbarium, have been conducting a floristic inventory of the North Mountain area of the Phoenix Mountain Preserve. The goals of the North Mountain Plant Inventory Project are to: (1) improve our scientific knowledge of the Preserve’s flora for land management, scientific, conservation, and educational purposes; (2) train, engage, and educate members of the public as plant stewards; and (3) provide a data-based plant atlas located on the Southwest Environmental Information Network (SEINet). The Florilegium Program is continuing its cooperative effort with the University of Arizona Herbarium staff to provide an archival environment for the botanical illustrations held in the Herbarium’s collection. 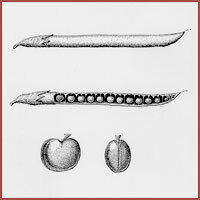 The Legumes of Arizona Project of the Desert Legume Program of the Boyce Thompson Arboretum is developing a reference book that will describe the Legume Family (Fabaceae) in Arizona. This	book will include descriptions of all legume species and information on their uses and cultivation.